Your essential guide for last minute exhibiting! Whether it is two weeks until your show or you still have a month before your show kicks off you can still organise your event to be a complete success. Yes time is running out but you’re not the first person, and most certainly will not be the last, who has an exhibition deadline that is fast approaching. If you have signed up to a show at the eleventh hour, or just been handed the job by a colleague, don’t panic we have plenty of useful tips and advice which will see you sail through at lightning speed. Here at XL Displays we specialise in getting your products out on the fastest turn around possible without compromising on quality. Don’t worry if you have left it too late we can print and dispatch a printed Pop Up Stand within 24 hours! Our standard lead time is 48 hour dispatch but if you need it quicker – that’s what we will do! We can also supply display boards within 48 hours which are great for last minute exhibitions. There is also a range of accessories including iPad stands and printed tablecloths we can dispatch in time for your last minute event. We pride ourselves on being able to deliver quality products with superfast delivery and high quality customer service. Read our Trustpilot reviews and see for yourself. Step 1 – Get moving! The first step includes getting all the relevant paperwork done – some would say the boring bits! You must always start at the top and work your way down. You need the exhibitor login and password details so you’re able to access the website for the show. This exhibitor’s zone will have lots of information that will help you with your planning. Your exhibitor profile needs filling out. It’s normally approximately 50 words and you will also need your company logo to so that visitors to the show can preview your company profile. 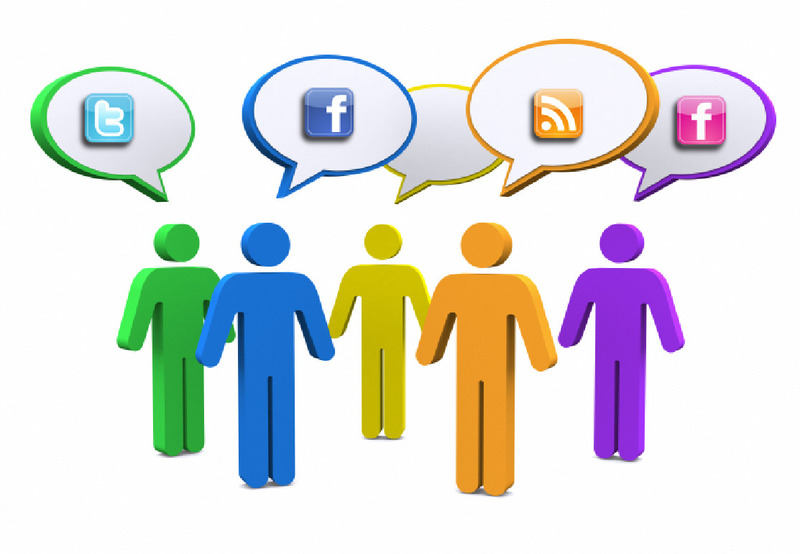 Log in to your Twitter and Facebook accounts and start following all the linked social media channels. Top tip – follow the event organiser’s social media pages and don’t forget to use #hashtags that are linked to the show so that people can see you’re attending and promoting. Deadlines – you need to know all the deadlines from the organisers. Print off the exhibitor manual this will include all the relevant deadlines. You need to forward a copy of your company’s public liability insurance to the event organisers. If you are not currently insured then your company will need to arrange insurance cover. You must have your insurance. Now you have dotted all the I’s and crossed all the T’s you can move on to step two and get down to the fun stuff. This next step is really to get the focus on your business objectives. There is no point exhibiting simply because you do it every year, you have to attend an exhibition with a crystal clear list of objectives. This way everyone knows why you’re attending and what they need to be focusing on. Each target is different for each business and there is no right or wrong answer here, our only important bit of advice is set them within your reach. For help on setting your objectives read our useful article on how to set SMART exhibition objectives. Setting your exhibition budget can be a little daunting, especially if you are new to this part of the planning process. The exhibition organisers are there to help, use them! They can help you budget or at least tell you if you are being a little extravagant! Their experience and resources will guide you down the right path. Top tip – Set your budget total and do not go over, this will eat into any sales profit you may get from the show. Well look no further – we’ve got you covered. We create, design and build Exhibition Stands that get you results. Whatever your ambitions or budget let us take the pain out of arranging your Exhibition Stand requirements and deliver a stand that can wow your potential customers and meet your business and marketing objectives. Graphic and stand design, manufacture and test build installation are all done on-site at our production facility in Peterborough UK so we can check every detail of your Exhibition Stand, ensuring it arrives to you exactly how you want it. In addition to bespoke exhibition stands and design, we also offer a variety of portable display solutions including Pop Up Exhibition Stands , Pull Up Banners and other solutions for your modular display requirements. We’d love you to come and see us, visit our showroom and meet the team here at XL Displays but don’t worry if your time is running out! You can view our entire product portfolio here and we have an experienced and dedicated sales team on hand to help with any questions. Give us a call on 01733 511030. Step 5 – Stand out! Graphic design is everything, people will look at your stand and make their decision about visiting you there and then. It’s not an area you want to stretch the cash on. Our talented and creative design team are experts in large format graphic design as well as smaller scale designs. One of our team will take your design brief instructions and, in consultation with you, create a design that meets your needs perfectly. The final design will not go to print until you are completely happy with it. The cost of our graphic design service will depend on your requirements. Please call us on 01733 511030 for a competitive quote. Step 6 – Engage your visitors into a frenzy! It’s all about creating an experience for your visitors, you want to create a lasting memory so that when they eventually return to their office they remember you, your stand, your business, products or services. Remember visitors don’t tend to stay long at each stand so creating a hands-on interactive customer experience will definitely improve your chances of wowing each visitor. Here is a list of ideas that will help attracts visitors and engage them whilst on your stand. Run a competition – excite people’s competitive edge. Offer some light bites – remember to keep it clean though, no messy foods allowed! Leaflets and literature i.e. have your product catalogue to hand. Promotional giveaways – everyone loves a giveaway but make it unique to your business! Video content playing on a screen – a show reel of your products or services. 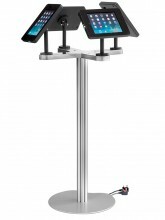 Top tip – iPad stands are a great interactive marketing tool that will engage your customer and keep them on your stand for longer. Lock your iPad or tablet to your website so your visitors can browse your products and services. You may have something else they are interested in that isn’t on your exhibition stand. There are several effective ways of letting people know you’re exhibiting at this show. People you need to shout out too are customers, suppliers, business partners, any business contact you have and feel you would benefit from attending the show. Send all internal staff an email advising them of the show, let them have all the details possible and make sure the details are correct. Ask them to invite contacts that they would like to attend the show. It is essential for your sales force to invite their customers, and business contacts. Add the show details added to all internal email signatures so that every email that is sent out people are reminded of your presence at the show. Arrange meetings on the stand, this will give people more of a reason to come, especially local business you either have contact with already or ones you have been trying to break into. Go social and start posting on all your social media channels about your attendance at the show. Don’t forget to include your stand location, times and dates etc. provide all the relevant information and keep reposting. Add a banner to your website with all the details on, you can also write a press release notifying people of your attendance. Speak to marketing and request an email shot to be sent out to the company’s database. Top tip – for your more valued clients make the invite a little more personal to keep them sweet! This is a simple yet necessary step that will ensure you’ve covered all angles. You’ve picked your exhibition stand and you’ve got the ball rolling with the design – this is most definitely something that should be well under way by now. Staff exhibition badges/passes have been booked and printed out and given to each member of staff who is attending along with all the information about the show. Data scanners are booked and you have got the details of where and how to collect them from on the morning of the show. Electrics are booked for your stand, this includes electric points, lighting, and internet connection point. These will be installed most likely the day before your show. Flooring has been chosen and you have liaised with the company about laying it before the show. You have picked your furniture and organised it to be delivered to your stand before the show begins. Hotels and travel booked for all member of staff who will be attending. You have organised stand rota so that you stand will never be under staffed? At the same time you don’t want too many people on it, a rota will help find the balance and cover lunch or toilet breaks. Have you promoted your exhibition presence as much as you can, send another tweet – it won’t hurt! Now you have everything set in motion you are now prepared to brief your team. Gather everyone who is attending to man your stand or even just visiting your show to network. If they are from your company they should all be aiming for the same goal posts? Give them the business objectives and brief them on how you feel they can meet these. For certain members of staff it would be a good idea to set individual targets, i.e. gain a particular amount of leads, sale or enquiries. During this meeting it’s vital to ensure all members of staff are aware of the location of the show, the time it starts and the location of your stand. Instruct people on how to get there and if necessary help arrange group travel. Hand out their badges to gain entrance to the show and wish everyone luck. Step 10 – Take a breath, you’ve done it! Now it’s time to enjoy the show, don’t worry it will be a complete success. Top tip – don’t forget to use all data gathered from you show, don’t let it go to waste. Evaluate the success of the show and decide on what could have gone better for next time. We hope these tips will help you to succeed at your next exhibition. At XL Displays we provide portable display solutions and custom built exhibition stands. Please contact us or call our sales team on 01733 511030 for more information.